Our mission is to provide members of the Greensboro community, especially children, with the personal and artistic benefits that result from education and training in the arts. We seek to create community benefits and positive social change through our efforts. The Community Arts Collaborative (CAC) functions as an umbrella organization over the community-engaged work of the College of Visual and Performing Arts. The Community Arts Collaborative serves the community of Greensboro by providing an array of low cost, participatory arts opportunities, including private lessons, group classes, artist residencies and performances. The CAC also offers training and employment opportunities to College of Visual and Performing Arts students with the goal of developing artist educators who will be inspired to participate in community-engaged work throughout their careers. Training Greensboro pianists to make a comfortable transition from piano to organ. T​aught by UNCG School of Music Doctor of Musical Arts students. Private music lessons for all experience levels in the School of Music available to the community of Greensboro. Program partnering with the Salvation Army Boys and Girls Club of Greensboro, Greensboro Parks and Recreation, and City Arts that provides an opportunity for children in low-income communities to participate in out-of-school arts instruction and to share their work in the community. Refugees from Church World Service receive music lessons in exchange for visiting local concerts. 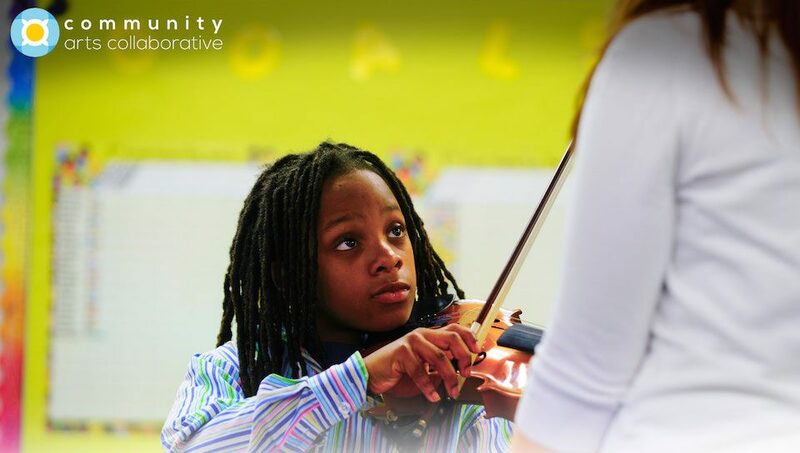 Designed to positively impact music education in Greensboro, the Lillian Rauch Strings Program nurtures and develops students’ creative talents by offering beginning string instrument instruction to underserved students. The Peck Alumni Leadership Program provides increased access to private string instruction to underserved students and promotes leadership and empowerment of students as agents of change in their community. Dancers Connect unites young dance artists ages 3-16 with expert dance educators to support collaboration and creativity through performance, choreography, improvisation and technique. Since 1962, NC Theater for Young People has offered plays drawn from contemporary literature, classics, and original works plus exciting outreach programs, touring productions, and theatre education experiences. The UNCG Opera Outreach Program allows over 18,000 children in Guilford County to experience opera in person each year by bringing the opera to them and providing accompanying interactive experiences. The Foster Care Chronicles Project helps people in the Foster Care System create and perform a production through a supervised group therapeutic process, based on their first person accounts. Greensboro Project Space (GPS) is an off-campus contemporary art center that serves both the university and communities in Greensboro. UNCG Art Truck is a mobile art gallery, interactive & educational art space. A preview of the work in progress by the MFA Performance students in the UNCG Summer Theatre Project. During a four-day workshop about the Greensboro Science Center (GSC), seven students from the Guilford County School District collaborated with UNCG's Greensboro Project Space used scientific research to explore art, and artistic research to explore science. This is a joint effort between the Jazz Studies department at UNCG and the Center for New North Carolinians.